I recently compiled a list of Winter sun destinations so thought I should find some ski holidays too. 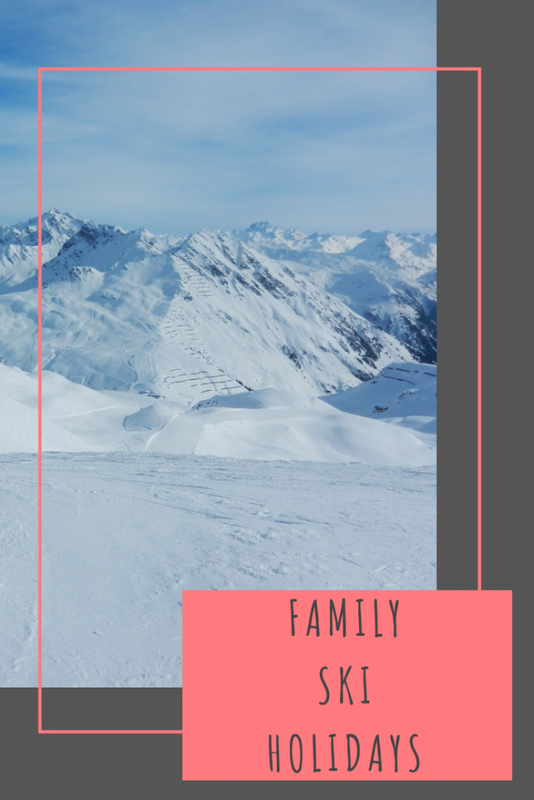 I am not a fan of skiing, I would much rather be relaxing on a beach so if you have a family member that doesn’t particularly want to ski, many hotels have heated swimming pools, spas and gyms so they can relax, get pampered and read a book whilst you ski. Before you set off though, check out the ski wear from Simply Hike who have some fab items, I might get Lucas one of the boys ski jackets for Winter. Set at 1,800m, Avoriaz is the highest part of the huge Portes du Soleil ski area that spans the French-Swiss border and has 650km of pistes. Avoriaz is ideally located in the middle of the Portes du Soleil ski area, with access to high-altitude skiing for everyone among the most breath taking panoramas in the Alps. The altitude guarantees snow cover from December to April, with an average of 8 meters of snow every winter. If you can’t already ski, there are 200 instructors that can teach you the arts of alpine skiing, snowboard, cross-country skiing, mono-skiing and telemark. If you look on the website, you will see an absolutely picture perfect resort and after reading about it, I want to go but not for the skiing. As well as skiing, you can also skate on the ice rink, go dog sledding, horse drawn sleigh rides, snowshoe walking, nordic walking and have dinner around a fireplace in an igloo, you can even have an initiation in how to construct an igloo! There is also a spa that includes an outdoor jacuzzi on the terrace, sauna, steam cabin, beauty treatments and massage rooms including multi-sensory showers and a relaxation room. There are squash courts and yoga classes. You can use electrically assisted bikes with oversized wheels for good grip on the snow, play archery or go on a snow scooter. See the resort from above and get a magnificent view from a helicopter ride, paragliding or sky dive. There are also plenty of shops, restaurants, bars, a night club, bowling alley and cinema. Obergurgl is one of the most snow-sure areas in the Alps and the highest parish in Austria. From ice skating, skiing, hiking and tobogganing, there is plenty to do in the outdoors. After a day outdoors, you can relax in the landscaped indoor swimming pool, wellness & sauna parlour, gym, sports and tennis hall.There’s plenty of shopping, indoor golf and horesback riding. There are also an abundance of restaurants, cafes and bars. With skiing, sledging, hiking, curling and ice skating you can certainly be active but , Wengen is also meant to be great for people looking for a relaxing break, for those who don’t take their slope time too seriously, for families and for mixed groups of skiers and non-skiers. There are various spa’s with fitness suites, heated pools and wellness centres as well as restaurants, cafes and bars. Pila can be found in the middle of the Aosta Valley, with views from Mont Blanc to Grand Combin, Matterhorn to Monte Rosa, bathed in fir trees and larches. With skiing, snow boarding, hiking and hot air balloon rides. There is a fun park with a conveyor belt located in the centre of the park to separate 2 tracks: one dedicated to bobs and sledges and the other to snowtubing. To accommodate children and adults, there are inflatables with bright colours and imaginative shapes, but rigorously soft, on which you can get started on the slopes of snow tubing, bob and sledge. An additional space, aside the slopes, is reserved for the youngest and equipped with games adapted to them as playful inflatable structures. You can relax in the spa with their heated pool, sauna, jacuzzi, beauty and massage rooms. I’ve never been skiing before, but it’s absolutely something I would love to do. A skiing holiday in Switzerland sounds like heaven! I am with you on skiing although I might enjoy just drinking hot chocolate and eating warm cheese under a blanket. A friend of Sebastian’s went on a ski holiday and he asked me what skiing was I told him it was essentially tying 2 bits of wood to your feet and sliding down a hill over and over again. “He said it sounds like a waste of time” Out of the mouths of babes! I’d love to go skiing, but due to medical conditions it will likely never happen .. which makes me appreciate these posts more, as it sounds like an amazing experience, not to mention how amazing ski photos are. I’ve never in my life been skiing but it is something I would love to try at some point! All of these ski resorts sound amazing. It’s great that they all offer so much for non-skiers too. I think I would love to ski in Switzerland, the hot chocolate after a day on the slopes must be amazing there. I haven’t ever been on a ski holiday but I’d definitely love to plan one with family.